With HighJump’s flexible WMS platform, City Furniture increased accuracy and efficiency throughout its supply chain to create a seamless customer experience. 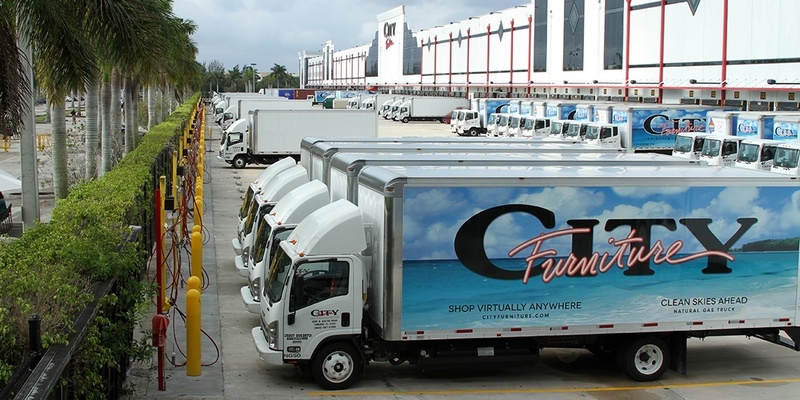 Florida furniture retailer City Furniture currently presides over 28 showrooms, one centralized million-square-foot distribution center, and a large (and ever-growing!) customer base. The company prides itself on its well-oiled supply chains, commitment to customer service, and efficient logistics. In the past, City Furniture relied on homegrown WMS software that it could adjust as needed in response to shifting demands. Soon, however, it became clear that a more flexible and adaptive warehouse management system would be required to keep pace with the company’s growth. With HighJump’s WMS software, City Furniture found just what it needed. By tweaking a base application to streamline constant cycle counting, for example, City Furniture was able to simplify its inventory management processes and better monitor its inventory. Along with accurate inventory counts, City Furniture places a premium on processing speed. “Before a customer even leaves the sales desk, our employees are already starting to pick the order in our distribution center,” Feraco notes. Thanks to this well-oiled system, City Furniture is able to execute same-day delivery on most orders. Recently, the company utilized its HighJump WMS technology to further streamline omnichannel order fulfillment and improve the customer experience. Through a customer pickup system, customers have the option of collecting their orders at one of the many City Furniture locations at their leisure, or calling ahead to schedule a pickup time. Taking advantage of the HighJump WMS platform’s flexibility, the company was able to create new algorithms to prioritize the orders of on-site customers — resulting in a substantial increase in order processing speed for time-sensitive requests. Most impressive of all, City Furniture was able to develop and implement this modification within a single day.